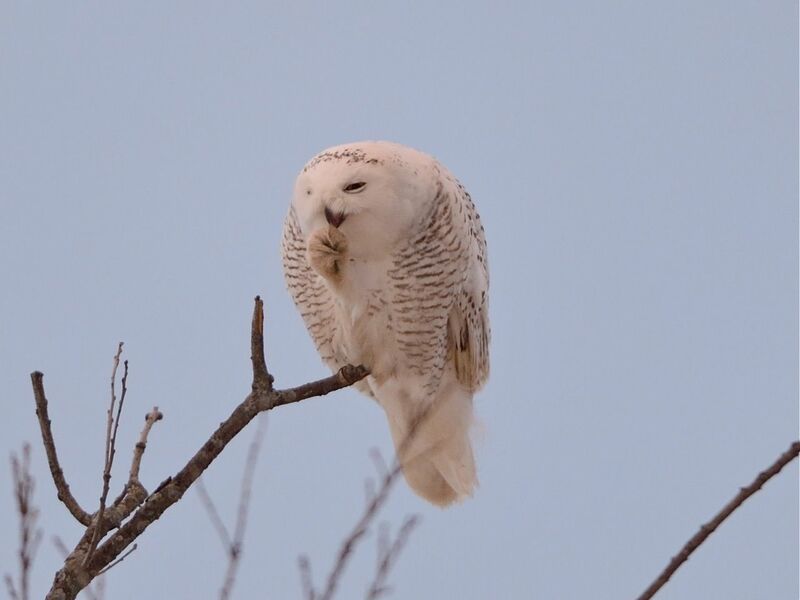 We're experiencing a "irruption" of Snowy Owls here in the Northeast. I was among the group. Pictures were taken, and videos, too. Check them out. It was Mona's "life" Snowy Owl. > My brother and I (and a lot of other folks) saw this Snowy Owl in a tree by the Snow Goose viewing area at Dead Creek WMA in Addison yesterday around 4pm. 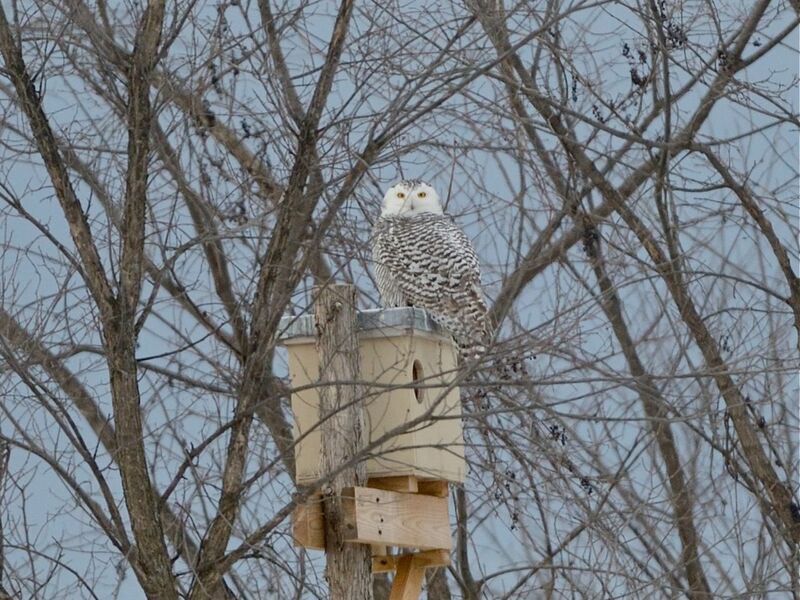 > A few miles down the road, we saw another Snowy Owl at the owl box.